Why Is Changing The Oil In Your Audi Important? One of the simplest and least-expensive ways to extend the life of your Audi is by regularly having your oil changed. 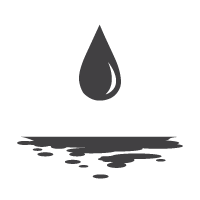 The main purpose of oil is to protect your engine from excessive engine part wear, harmful heat and friction, and to keep critical engine components properly lubricated. Over time oil will deteriorate and its ability to protect your engine will decrease, which is why sticking to a schedule for routine oil maintenance is important to your vehicle's health. When To Change The Oil In Your Audi? Audi Ann Arbor recommends that you refer to your Owner's Manual for exact information on oil change intervals for your vehicle. Newer Audi models are often approved for 10,000 mile oil change intervals, but older models may require more frequent oil changes. It's also important to consider additional factors such as your local climate and daily commute when determining how frequently your oil needs changed. Refer to your Owner's Manual for vehicle-specific information or as your Service Consultant for the exact recommendation for your Audi vehicle. How To Know If You Have a Problem With Your Engine Oil? Knowing how to identify the symptoms of an engine oil related problem could potentially save yourself a lot of money and inconvenience. Below you will find a few common symptoms that will help you discover if you may have an engine oil related problem. It can be tough to spot oil stains under your Audi, especially in the summer. It's not uncommon for your vehicle's air conditioner to collect condensation and drip water. Be sure not to mistake this for an oil leak. If you do find oil drops or puddles collecting under your Audi, we recommend scheduling a service appointment as soon as possible. Your engine requires a certain amount of oil at all times and a loss of oil could result in serious damage to your engine. Common areas to check for the start of an oil leak are the oil pan drain plug, oil pan gasket, and valve cover gaskets. A steady or blinking Engine Oil Warning Light is a sign that your Audi is suffering from low oil pressure. In order to stay properly lubricated and protected from harmful wear and tear, your engine requires a certain amount of oil at all times. 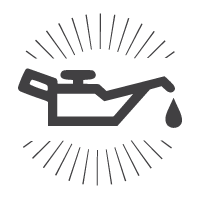 Should a blinking oil light appear on your dashboard, we recommend safely coming to a stop and contact the Service Center at Audi Ann Arbor to address the issue. Continuing to drive with low oil pressure risks serious potential damage to your vehicle. Why Get Your Oil Changed at Audi Ann Arbor? Audi Ann Arbor is here to keep your vehicle operating in peak condition by using factory-recommended engine oil and oil filters engineered specifically for your Audi. Our team of Audi Certified technicians will inspect your engine for any signs of oil-related problems. Should there be an issue, our team of service experts will provide you with their findings along with advice and recommendations for getting the most out of your engine.